In the article, Tony seeks first to reassure the reader that a root canal is not an unusual procedure. He goes on to add if you've been told you need a root canal, you can take solace knowing this is a very common procedure. Dr. Cigno goes on to share the details of when a root canal becomes a necessity and outlines the specific root canal process. He explains how the pulp of the tooth gets infected and/or inflamed and causes severe damage to the tooth root and the tooth itself. This then causes ongoing pain and possibly, abscess. 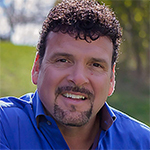 Dr. Antonio (Tony) Cigno has been practicing dentistry for 25 years. He received a DMD from the Washington University School of Dental Medicine in St. Louis, Missouri. He is also finishing a Fellowship and Mastership at the Academy of General Dentistry and has written several published articles. Dr. Cigno is a member of the Academy of General Dentistry, American Association of Functional Orthodontics, and the International Association of Orthodontics. He was also Wisconsin’s very 1st and Premiere Provider of Fastbraces and one of 10 senior master affiliates in the world. Dr. Cigno is committed to continuing education and has completed over 600 hours of additional courses in implant dentistry, orthodontics, endodontics, periodontics, fixed prosthodontics, myofascial pain/occlusion and operative dentistry. He also has another 400 hours in interpersonal communication training.